The Marylebone Trio’s repertoire is wide and varied, and ideal for bringing a touch of elegance and class to your wedding or event. Our classical repertoire includes music by composers such as Mozart, Beethoven, Bizet, Verdi, Handel and Brahms. We also have a selection of lighter works by songwriters including Gershwin, Jerome Kern and Scott Joplin, and pop songs ranging from the Carpenters to the Kaiser Chiefs! Much of the function music is arranged by the trio, and we pride ourselves on being able to organise for just about any special musical requests to be catered for. If you have something particular in mind – be it classical, jazz, pop or a show tune, just ask us and we’ll see what we can do! To hear us in action, click on the listen link. Demo CDs are also available so please contact us for one of these. * Unlike a music agency, we don’t deal with opera singers, steel bands or magicians. We just specialise in doing one thing – and doing it really well! * As you deal directly with us, we offer a personal and flexible service, and yours will be the only event we deal with on any given day. 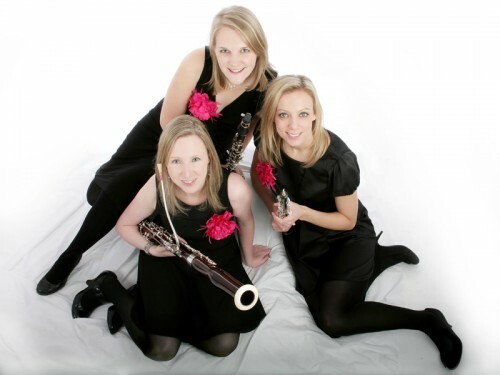 * The Marylebone Trio can fit into a fairly small space and is happy to play indoors or outdoors (weather permitting), or move positions during the event. * We provide something a bit different from the usual string quartet sound and, being fewer people, are competitively priced. * The trio has its own public liability insurance and can provide its own equipment, making life easy for you and your venue. * We love dressing up and we’re happy to colour co-ordinate with your event if requested! Please click here to see some of the venues we have performed at.